Grant Museum Objects On Tour! 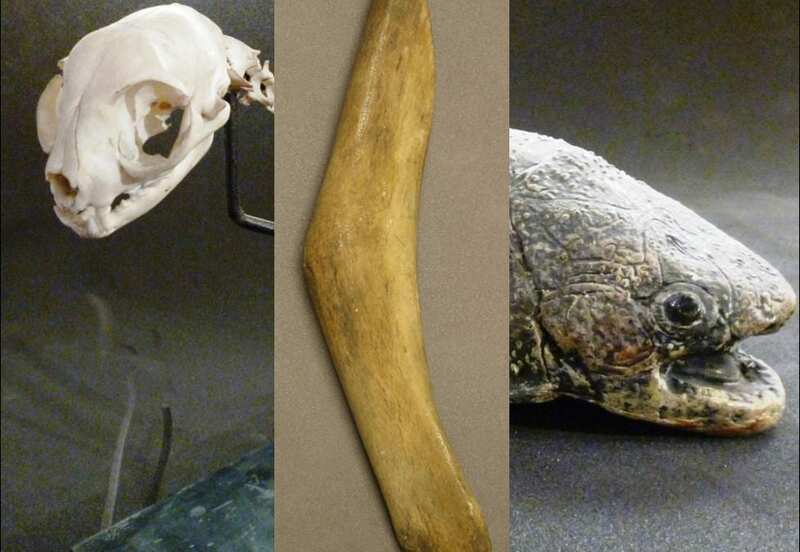 This dynamic trio of objects are currently on loan to the Florence Nightingale Museum in an exhibition titled BONE. The exhibition, curated by Simon Gould and Rhiannon Armstrong, takes the central premise of BONE and creates a three dimensional spider diagram display of objects that enshrine different aspects of ‘boniness’. Hit the jump for details about the exhibition and let us know if you spot our objects on tour. Mobile Studio Architects will transform part of the museum allowing visitors to explore objects including an x-ray of Sigmund Freud’s head, a cat skeleton to ward off evil spirits, a skull shaped candle made for Marilyn Manson’s wedding, a contemporary apothecary jar showing the effects of syphilis on bone, cutting edge medical bone imaging and Florence Nightingale’s pet tortoise ‘Jimmy’. The exhibition will reflect bone’s intriguing and multi-faceted story in its objects as well as through live performances and demonstrations by biomedical researchers and clinicians, forensic archaeologists, bone carvers, dancers, historians, artists and other professional bone users. Unfortunately, I’ve only seen the exhibition part installed but I’m excited to see the finished product when it opens. The exhibition runs from the 20th of July to the 31st of August at the Florence Nightingale Museum, the facebook event page for this exhibition can be found here. Is that a bone in your pocket or are you just excited about the bone exhibition?